London: Map collectors' Circle, 1974. card covers,illustrated,pages 137-189,near fine.shelf 274. First Edition. Paperback. Near Fine/No Jacket. 4to - over 9¾" - 12" tall. County atlases of the British Isles 1579-1850. A Bibliography. Part 4. (1671-1703) Map Collectors' Circle. Map Collector's Series. London: Map collectors' Circle, 1968. card covers,pages 139-206,near fine.shelf 274. First Edition. Paperback. Near Fine/No Jacket. 4to - over 9¾" - 12" tall. London: Map collectors' Circle, 1973. card covers,illustrated,pages 37-65,near fine.shelf 274. First Edition. Paperback. Near Fine/No Jacket. 4to - over 9¾" - 12" tall. County atlases of the British Isles 1579-1850. A Bibliography. Part 5. (1579-1703: appendixes) Map Collectors' Circle. Map Collector's Series. 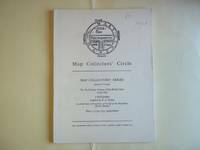 London: Map collectors' Circle, 1970. card covers,pages 209-250,near fine.shelf 274. First Edition. Paperback. Near Fine/No Jacket. 4to - over 9¾" - 12" tall. County atlases of the British Isles 1579-1850. A Bibliography. Part 1. Map Collectors' Circle. Map Collector's Series. 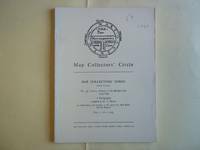 London: Map collectors' Circle, 1964. card covers,pages 137-189,near fine.shelf 274. First Edition. Paperback. Near Fine/No Jacket. 4to - over 9¾" - 12" tall. Maps of Wales and Welsh Cartographers. Map Collectors' Series No 13. GB: Map Collectors' Circle, 1964. In permanent polythene protector. From the library of the Manchester and Lancashire Family History Society with their library marks. Book is in near very good condition with minor but just noticeable signs of wear and/or age. . Paperback. nrVG. London: Map Collectors' Circle, 1964. Complete with errata slip. Very Good condition. NOT a library discard. NO owner's name or bookplate. 1964. First Edition. Described here are 50 Falkland Islands maps from 1597 to 1885. Illustrated with 12 plates. Bound in the original tan wraps, printed in black. 7.25" wide by 9.75" tall.. First Edition. Softcover. Very Good condition. 31pp. Great Packaging, Fast Shipping. Hammond World Atlas Corp, 1998-09. Paperback. Good. Hammond World Atlas Corp, 1998-09-01. Map. Paperback. Used:Good. London: Map Collectors' Circle, 1965. Near Fine condition. Heavy erasure (previous owner's name?) from title page. Clean and unmarked. NOT a library discard. NO bookplate. A descriptive catalog of 60 maps from the collection of Richelieu et Cie of Cognac. Illustrated with 24 plates. Bound in the original tan wraps, printed in black. 7.25" wide by 9.75" tall.. First Edition. Softcover. Near Fine condition. 38pp. Great Packaging, Fast Shipping. London: Map Collectors' Circle. Very Good. Paperback. 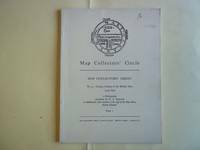 Map Collectors' Circle No 31 43pp, 11 full page maps, bound in original cream card covers; Quarto . MAP COLLECTORS' SERIES MAPS BY JOHN ARROWSMITH IN THE PUBLICATIONS OF THE ROYAL GEOGRAPHICAL SOCIETY. London: Map Collectors' Circle. Very Good. 1966. Paperback. 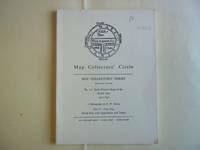 Map Collectors' Circle No 27 9pp text + 31 full page plates, bound in original cream card covers,; Quarto . London: Map Collectors' Circle. Very Good. 1965. Paperback. Map Collectors' Circle No 17 16pp text + 15 full page plates, bound in original cream card covers,; Quarto . MAP COLLECTORS' SERIES No 3: The Isles of Scilly. London: Map Collectors' Circle, 1965. Fine condition. Clean and unmarked. NOT a library discard. NO owner's name or bookplate. A bibliography of books from 1743 to 1796, containing the Bickham family's maps and calligraphic engravings. Illustrated with 31 pages of plates and facsimiles. Bound in the original tan wraps, printed in black. 7.25" wide by 9.75" tall.. First Edition. Softcover. Fine condition. 40pp. Great Packaging, Fast Shipping. London: Map Collectors' Circle, 1965. Very Good condition. Clean and unmarked. NOT a library discard. NO owner's name or bookplate. 1965. First Edition. Described here, with annotations, are 41 maps of the Cape of Good Hope, 1782-1842. Illustrated with 15 plates, 2 foldout. Bound in the original tan wraps, printed in black. 7.25" wide by 9.75" tall.. First Edition. Softcover. Very Good condition. 31pp. Great Packaging, Fast Shipping. London: Map Collectors' Circle. Very Good. 1966. Paperback. 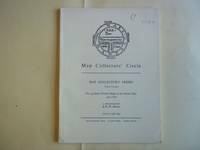 Map Collectors' Circle No 25 44pp, 12 full page maps, bound in original cream card covers; Quarto . Map Collectors' Series No. 9: County Atlases of the British Isles, 1579-1850, a bibliography, Part I.
London: The Map Collectors' Circle, 1964. Softcover. VG (Cover is slightly soiled, one corner turned up; otherwise clean.). Tan wraps, 44 pp., one fold out. 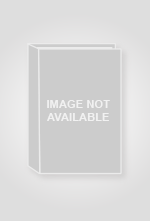 Marks only the beginning of this bibliographic task, with annotations for only 7 applicable books in this genre. Followed by other parts in other issues. Uncommon.